September 8 – November 25, 2018 Birds enthrall us with their stunning plumage, amusing antics, and lilting song. Avian art inspires in endlessly novel ways, too, evoking the freedom of flight and the fragility of their earthbound existence. Wausau, Wisconsin: This summer’s immersive installation of colorful, assembled-object sculptures by Miami-based artist Federico Uribe opened June 2 at the Leigh Yawkey Woodson Art Museum. Drawing inspiration from Federico Uribe, explore and create sculpture from everyday objects for engaging fun in the Museum’s interactive family gallery, temporarily relocated to the west gallery this summer during Art Park renovations. Discover a transformed Art Park in September! 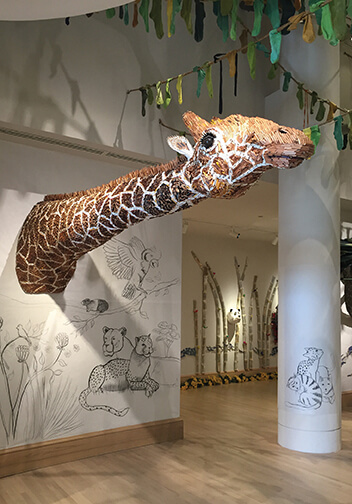 Discover a transformed, “re-landscaped” Art Park, the Museum’s interactive family gallery in the lower level, debuting in tandem with the opening of Birds in Art 2018 on Saturday, September 8. Art Park is open during Museum hours: Tuesday–Friday, 9am–4pm; First Thursday of each month, 9am–7:30pm; Thursdays during Birds in Art, 9am–7:30pm; Saturday–Sunday, Noon–5pm. 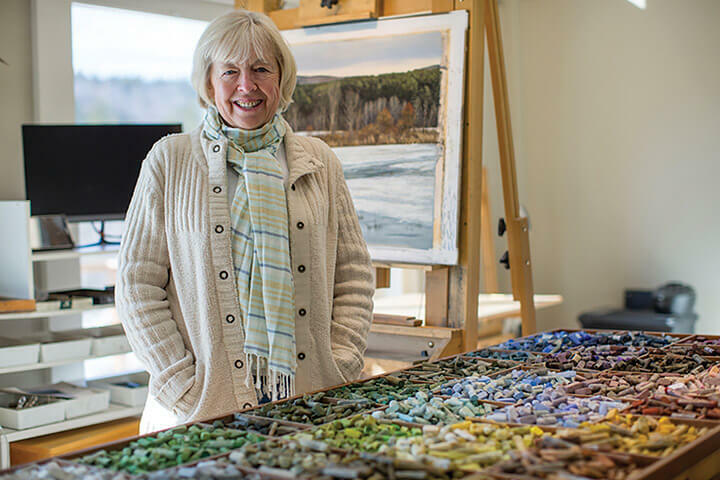 Wausau, Wisconsin: The Leigh Yawkey Woodson Art Museum announces New England pastel artist Cindy House as its 2018 Master Artist who will be honored during the Museum’s 43rd annual “Birds in Art” exhibition this fall. An invitation and thank you; let’s celebrate! Artwork for the 2017 Birds in Art exhibition was selected in May; see this list of 2017 Birds in Art artists’ names whose work will be included in this fall’s exhibition, on view September 9 through November 26. For more information, see this press release.